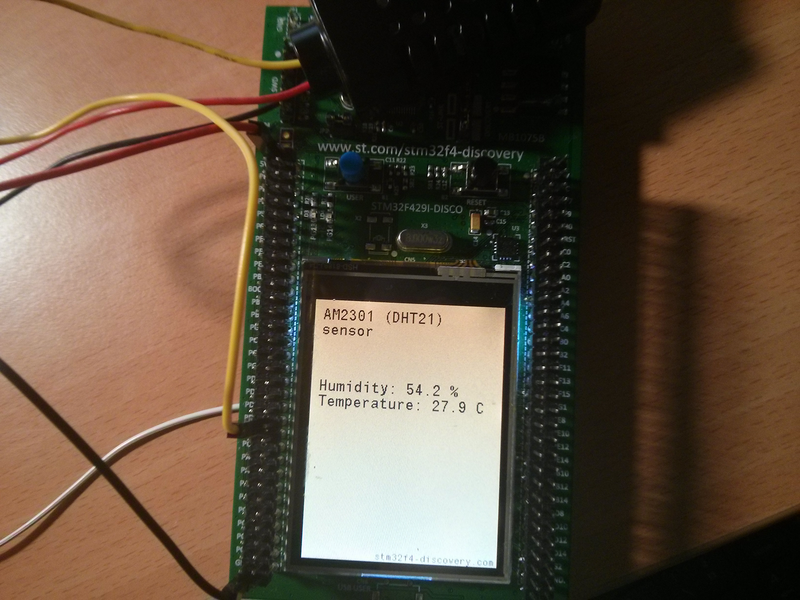 AM2301 or DHT21 is a digital sensor for measure temperature and humidity. It has temperature resolusion up to .1 degree and accuracy to .5 degree celcius. Humidity has .1% resolution and 3% accuracy. This is quite good. On pin, internal pull-up resistor is enabled, but if you have a larger distance, add external resistor about 4k7 Ohm. You are now able to read data. First make a new instance of data typedef. * There are several different possible results. * If TM_AM2301_OK is returned from read function then you have valid data. * Temperature in tenths of degrees.